The village leaders’ eyes were turned to Damahana village in 1949 and to develop it and to improve the nation’s children’s knowledge and the morals of them. ’ Ven. Panana Wimalawansa Thero and some of village chiefs took the leadership to this useful task. They all decided to build a school in this area a few miles away from the Balangoda town. Overcoming all the difficulties, A chief of this village W. A. Punchimahaththaya contributed a plot of land to build a school. Today a lot of splendid buildings at this school but on February 24 in 1949 it was cemmeced in a temporary building under a cadjan roof. It was born like that but at present it is not only for Damahana pupils but also it is useful to the children of the suburb villages and now it is passing its 57th year. The growth of the student’s amount. The children’s of the parents’ who are doing government jobs, education level is going up words. It is a normal trend. According to research there are about 37% of such students in this area. The rest of the 60% must take forward through the education. It is a challenge for the teachers. Results about 50% go for higher education. We can certify it by showing the following graph. educational background at these houses. Parallel classes for gander 2,3,4,5.
from art and commerce sections. Advance Level students from Oasisdamahana foundation gained higher results in Advance Level examination, 2008. 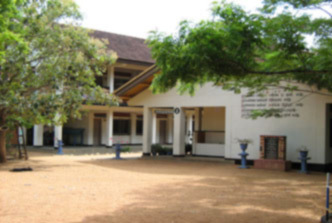 On the 27th of august in 2006 we started our computer center in Damahana school. During the school time teachers teach lessons using computers. Not only that the computer classes are held in weekends.Under this activities there are two courses.